Revised as of November 8, 2017 - I am now a freelance social media manager for brands that appear in grocery stores from coast to coast. The Instagram changes pretty rapidly so you need to stay on top of trends, without settling for old advice. Some of the advice in this post is outdated so I've gone through to clean it up and make it more relavant. I write this blog to share my stories and my experiences and to find others that can relate to me on some level. As a stay-at-home-mom it's very important to me that I connect with other women, even if it's just from behind a computer screen. Until recently I thought I had to write about my experiences at home, as a mom to help facilitate those relationships but I've learned that's not necessarily the case, and my experiences aren't limited to what happens with my children or what I'm cooking in my kitchen. Among other things, I enjoy blogging. And I've learned that bloggers like to support and meet other bloggers. We are all looking for similar things so we form natural communities. Some of these communities can best be found within blogging Facebook groups. These groups are essentially places where a select group of bloggers get together to support one another, answer questions and provide general feedback and promotion. It was through these groups that I learned that social promotion is one of the best ways to grow your blog's audience and make meaningful connections. The natural progression seems to suggestion that first you meet people on a social platform and then they read your blog. This helps ensure that the connection is more stable and enduring as opposed to a one-time page view. The challenge is how do you get to know people on social media and where do you find said persons? Everyone seems to have advice and tips pertaining to every sort of social platform from Instagram to Snapchat and Facebook to Twitter. Frankly, I find it all a bit overwhelming. How do you find enough hours in the day to grow and maintain a blog let alone 4-8 different social platforms? I don't have that kind of time, so I decided to primarily focus on just one - Instagram. I maintain a social presence on Facebook, Twitter, and Pinterest (feel free to follow) but in the last month I've invested my extra time into Instagram and my efforts have paid off. 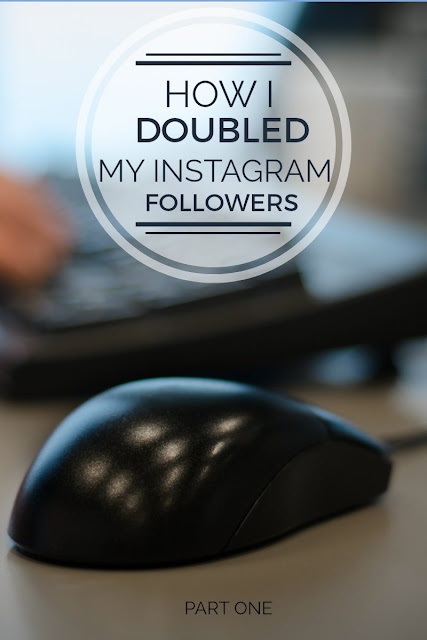 I've more than doubled my Instagram following in the last month! Yes, you read that correctly I doubled it. I didn't have a giant Instagram following to begin with, and I'm not claiming to be #Instafamous, but progress has to start somewhere and I'm confident that if I follow these steps I will continue to see measureable success. And because I love you guys I'm sharing my secrets. I've broken this up into a two-part series since there's quit a bit I want to share. So enough rambling, here goes. To kick things off this advice is sadly no longer relevant. In an effort to reduce spam, Instagram's API does not allow third-party apps to track and report on follow/no follow anymore. Crowdfire is an app for social media engagement on Instagram and Twitter. It's available for Apple and Android users and there's also a desktop version that comes in handy when you're in front of your computer. 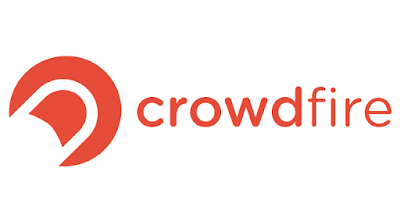 I was really worried about trying crowdfire at first but after the recommendation of other bloggers I decided to give it a try, and I'm so glad that I did! I've outlined my step-by-step strategy. I downloaded the app I went through all my Non-Followers and cleaned them out - meaning I unfollowed most of them. This process took several days because you can only unfollow so many people at one time. I added some accounts to my Whitelist, this is basically a safekeeping list that allows you to designate certain users that you want to follow regardless of whether or not they follow you. For example, I'm following Lauren Conrad (duh) but I doubt she's ever going to follow me back. I continually go through my Recent Unfollowers and I unfollow most accounts that unfollowed me. This might seem cut-throat but if you show me love, I'll show you love and vice versa. Every day or two I go to an account maintained by a similar blog and I Copy Followers. I identify likeminded bloggers that focus on motherhood, fashion, lifestyle, cooking... and I comb through their list of followers. When you Copy Followers the most engaged users are listed first so I copy between 40-50 new followers at a time. I NEVER copy the whole list because it feels too unauthentic to me and frankly, I don't want to follow just anyone. I want people that are truly interested in my content and I in theirs. Sometimes these people will follow you back and sometimes they don't but I typically see about a 30-40% return on followers. Once a week I go to back to my list of Non-Followers and I clean it out. When I add new followers I try to give them about 5-7 days to follow me back and if they don't I simply unfollow them. This helps ensure that I have engaged followers. Finally, I try to be extra kind to the people that really love me. I review my Admirers list, this is a list of people who most often like and comment on your photos, and I like and comment on their photos whenever possible. You don't want to be so focused on growing and reaching new people that you forget those that helped you along the way. Post regularly and at different hours, then check out your anayltics to make sure it's working. 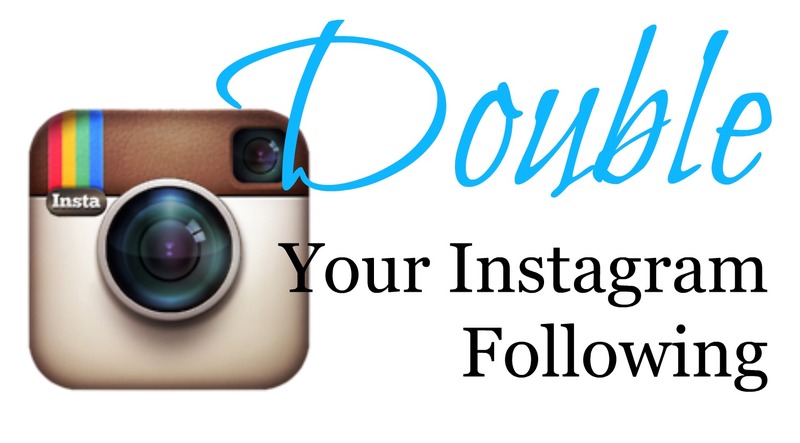 You need to maintain a presence on Instagram if you want to grow your following. My personal goal is to post once two times each day. Consistency is key and it gives your users a realistic expectation so they know to check out your content each day even if you haven't shown up on their feed. I believe that you need to post at least once a day or five times a week to keep your followers interested but no more than two to three times a day so as not to annoy them or fill up their feed. Also, since you're diversifying and growing your followers you need to post at different times throughout the day to guarantee that you're targeting different users. Break the habit of posting every morning when you wake up and try posting before bed, during your lunch hour or even in the middle of the night if you have a little one or insomnia. So this doesn't really apply any more either. Timing matters to a certain extent and immediate, organic traction on a post helps your post to appear higher in more feeds, however, Instagram's new algorithm does not show posts in order of time they were posted. Instead, Instagram now shows you posts they think you will "like" toward the top of your feed. For example, if you like back-to-back pictures on my feed you will likely see more of my posts higher in your feed in the next couple days. Comment, like, genuinely care and be aware of those you follow. Be active on Instagram! Check out your feed throughout the day and send some love to those in your feed. A simple comment, an emoji or a like, really does go a long way, but a genuine comment is considered a statement of five or more words (emojis do not count in the equation). This is particularly important when you start to follow someone new. When I add new followers I sometimes like to go to their profile and like a pic or two as kind of a, "hi, I'm here and I follow you" notion. Plus, if you engage with them they typically engage back. NEW! Follow people who you genuinely care about and who inspire you. The follow/unfollow method can be super frustrating for Influencer's trying to build an authentic audience. Do not fall victim to the game, instead follow accounts you truly enjoy. Engage with people whose content inspires your creativity. Just because you like to post about food does not mean you need to shy way from travel accounts. Diversify your following and find new accounts to follow by using the discover feed. I have FIVE more tips to help you grow your Instagram following so be sure to check back tomorrow! In the meantime, please share strategies that work for you. Do you have tips for growing your Instagram audience? Leave your handle in the comments below and follow me (here) and I'll be sure to share the love. Great tips, and I'm downloading the app now! !